C-type natriuretic Peptide (CNP), the third natriuretic peptide (NP) identified, is mainly expressed in the nervous system and endothelial cells. In addition, CNP is believed to be produced locally in tubular cells and glomeruli of normal human kidneys. CNP exerts mainly vasodilatory and anti-mitogenetic effects rather than regulation of body fluid homeostasis via autocrine or pa­racrine pathway. Many factors, such as shear, pro-inflammatory cytokines and lipopolysaccharide, can regulate the production and excretion of CNP both in vivo and in vitro. However, little infor­mation about the renal action of CNP was obtained in the past from the model of isolated perfused rat kidney in which variables could be changed in a controlled manner and systemic influences could be eliminated. However, reviewing the data from the studies that used this model inspires us to conclude that such model can be a useful tool to probe the undiscovered aspects of the renal actions of CNP and should be advocated for future studies on it. Chemotherapy drugs, biological medications that are used to treat cancer, may cause hepatic side effects. Patients with pre-existing viral hepatitis may be more susceptible to exacer­bation of their underlying liver disease, and risk of drug-induced hepatotoxicity. We conducted a search on immunosuppression, and its impact on reactivation of viral hepatitis, using the electro­nic medical databases. Before starting chemotherapy, it is recommended to record the past history of liver disease and check for hepatitis B virus (HBV) and hepatitis C virus (HCV) serology. In immunosuppressed patients, radiation toxicity, graft versus host disease, hepatic veno-occlusive disease, acalculous cholecystitis, tumor infiltration, ischemia, other viruses such as CMV and her­pes virus, and systemic infection should also be considered. Transplant recipients with serologic evidence of previous infection with hepatitis B or C, or those who receive organs from a seropo­sitive donor, should have viral load levels monitored before and after transplantation and, may also require treatment. We believe that there is a role for prophylactic use of antiviral treatment in patients at risk for HBV reactivation. This study aims to determine the prevalence of silent GI complications within a stable renal transplant population and to investigate whether the conversion to enteric-coated myco­phenolate sodium (EC-MPS, Myfortic;) would improve symptom scores. This was a single­center, open-label, non-randomized, prospective study. Patients without any history of GI com­plaints were evaluated by means of the gastrointestinal symptom rating scale (GSRS), with subse­quent switch to EC-MPS in a group of patients. Silent complications were defined as patients who voiced no GI complaints at clinic visits despite a score of ≥ 2 on GSRS scale. A total of 236 stable patients participated in the trial. The prevalence of baseline scores ≥ 2 was relatively high with abdominal pain 29.66%, reflux 37.28%, indigestion 50%, constipation 58.47% and diarrhea 33.4%. Of 236 patients, 80 were converted to EC-MPS. There was statistically significant improvement on all scales in the subgroup of patients with GSRS score ≥ 2 (P< 0.05). In conclusion, the GSRS scale identified a high percentage of silent gastrointestinal complications in this renal transplant population. The converted patients with higher GSRS scores reported a sustained improvement. Several years after the initial usage of continuous ambulatory peritoneal dialysis (CAPD), the percentage of patients using this continues to be very low constituting about 15% of all patients with end-stage renal disease (ESRD). In this study, we attempt to define the impact of an educational program for improving the use of CAPD. This is a quasi-experimental study (before-after) conducted with educational materials including workshop, teaching by booklet and showing educational films, performed in Urmia, Iran. We designed a questionnaire for data col­lection and enrolled 160 patients with an aim-based sampling method. We used descriptive sta­tistics and Friedman test for analysis in SPSS software version 11.5. The overall patients' infor­mation about CAPD defined by total scoring was as follows: 75% had little information; 19% had moderate information and 6% of patients were well informed. All the information levels increased after intervention. Our study suggests that the poor utilization of CAPD is due to relative un­awareness about PD and/or lack of adequate facilities. Zinc (Zn) deficiency has been reported in 40-78% of hemodialysis (HD) patients and may be associated with anemia and pruritus and probably limiting the expression of renal osteodystrophy. This study was designed to explore possible correlation between serum zinc concentration and anemia, intact parathyroid hormone (iPTH) concentration and pruritus severity in HD patients. During a case-control study, the serum Zn concentration of patients on main­tenance HD was compared with those of the healthy controls and with the cut-off point of 70 mcg/dL as the risk of Zn deficiency. The mean serum Zn concentration in patients on main­tenance HD was significantly lower than that of the control group; however, it was not different with the cut-off point of 70 μg/dL. No correlation between serum Zn concentration and hema­tologic indices was detected. A significant positive correlation between serum Zn concentration and erythropoietn dose was noted. No correlation was found between serum Zn concentration and PTH level or pruritus severity. In conclusion the results of this study showed that zinc concentrations were lower in HD patients compared to controls, however, the effects of routine supplementation of zinc to control anemia, serum PTH level or pruritus severity are yet doubtful. Successful pregnancy outcome is an uncommon occurrence in women requiring chronic dialysis treatment. We reviewed the course and outcome of 9 pregnancies occurred in women on chronic hemodialysis in our center from 1999-2007; 5 of them ended with delivery of alive newborns, 2 with fetal deaths in-utero, and 2 with abortions. The average age of patients was 34 years. The etiology of the original kidney disease was unknown in 44.4% of the cases, and only 22.2% of the patients maintained diuresis. Dialysis started in 8 cases before the diagnosis of pregnancy. The average gestational age at diagnosis was 14 weeks. We modified the prescription of dialysis in 4 patients by increasing the frequency of the dialysis sessions to 6 per week and in 3 by increasing the duration of each session to 6 hours. Anemia was present in all the cases; 3 patients received erythropoietin and 4 patients required transfusion. The pregnancy was com­plicated in 44% of the cases by a polyhydramnios. The average time at delivery was 33 weeks and it was achieved in 80% of pregnancies through vaginal route. The average weight of newborns was to 2380 g. We conclude that pregnancy in women on hemodialysis is possible. The success of pregnancy may be influenced by the residual diuresis and early diagnosis to improve the quality of dialysis by increasing the dialysis dose. Renal function deterioration is a common complication in patients with diabetes mellitus and hypertension. Appropriate use of anti-hypertensive agents and tight control of Blood Pressure (BP) can minimize and delay such complications. This study was performed in order to investigate the utilization patterns of anti-hypertensive agents and to evaluate BP control among diabetic-hypertensive patients with and without reduced renal function. In a retrospective cohort study, all diabetic­hypertensive patients attending The Al-Watani Medical Governmental Center from August 01, 2006 until August 01, 2007 were enrolled in the study. Patients with congestive heart failure and/or end­stage renal disease were excluded from the study. The proportion of use of five different anti­hypertensive drug classes were compared for all patients receiving 1, 2, 3, or 4 drugs, and separately among patients with and without reduced renal function. Over 60% of patients were receiving angiotensin-converting enzyme inhibitors (ACEI)/angiotensin receptor blocker (ARB), followed by diuretics (40.8%), calcium channel blockers (25.1%) and (β-blockers (12.5%). The majority of patients (> 55%) were either on mono or no drug therapy. Patients on monotherapy were mostly receiving ACEI/ARB (60%). In patients with reduced renal function, use of diuretics, but not ACEI/ARB or CCB, was higher and 41.8% of the patients were on monotherapy compared to 46.6% in patients with normal renal function. The proportion of patients achieving good BP control was 20% with mono­therapy and 28% with combination therapy. Our study suggests that the pattern of anti-hypertensive therapy was generally consistent with inter-national guidelines. Areas of improvement include in­creasing use of ACEI/ARB and diuretics, decreasing the number of untreated patients, and increasing the proportion of patients with well controlled BP in this population. Extracorporeal Shock Wave Lithotripsy (ESWL) is still the treatment of choice for most renal and upper ureteric stones; however the outcome depends on multiple factors. The objective of this study was to investigate the effects of stone density, as measured by Hounsfield Units (H.U) by non-contrast Computerized Tomography (CT), stone size and stone location on ESWL treatment outcome of urinary calculi in Jordanian patients. 65 patients underwent clinical, biochemical and radiological assessments followed by ESWL treatment. Statistical analyses including chi-square, analysis of variance (ANOVA), correlation, regression were performed for statistical significance between ESWL treatment, stone fragmentation and stone density, size and location in the renal pelvis. ESWL success rate was high (94%) for low density stones (< 500 Hounsfield units). In general CT densities of 750 Hounsfield units or less were almost always successfully treated by ESWL. 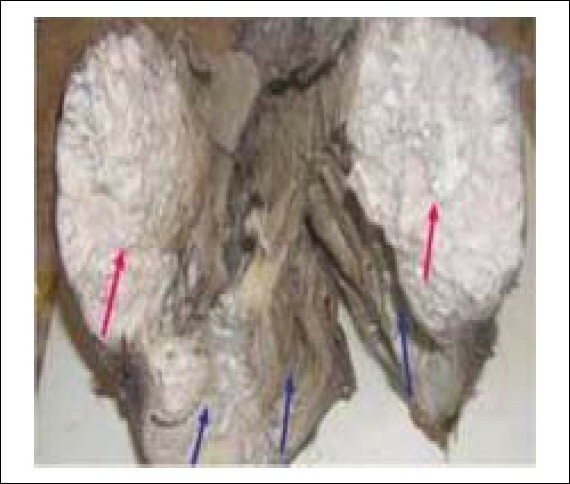 An inverse association between ESWL treatment outcome and stone size was also documented. CT stone density and stone size combined account for nearly 73% of the variation in the number of shock waves required to attain fragmentation. Stones located in lower calyceal area had less success rates. In conclusion, stones with higher density, large size and lower location may better be managed by percutaneous nephrolithotomy. At least 5% of women and 12% of men during their lives will experience renal colic, at least once. Many theories have been suggested for the etiology of renal stones and va­riations in the anatomy of the collecting system have been suggested to have a role in stone formation. This study was conducted to examine the role of variation of lower pole collecting system in patients with lower pole kidney stone and compared the same in normal persons (kidney donors). 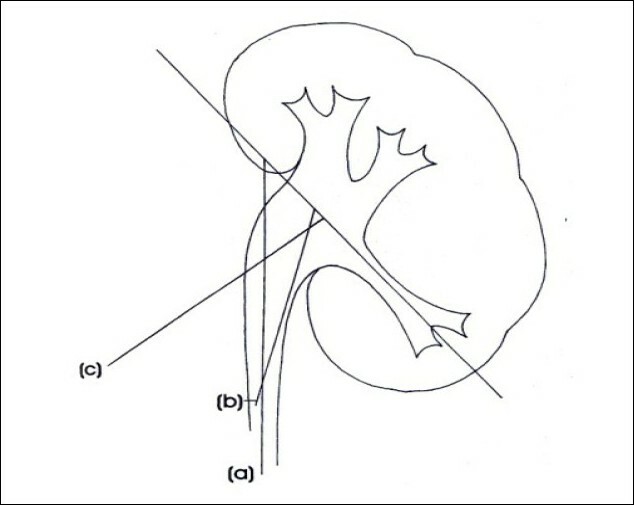 Investigation for the anatomy of the lower pole of the kidney (angle between lower infundibulum and pelvis, length and diameter of the infundibulum and number and pattern distribution of calyces) was carried out using intravenous pyelogram (IVP) in 100 cases with urinary stone (study cases) and 400 persons with normal kidneys (control subjects). The study was a retrospective cross-sectional case control study. Results were analyzed by Mann-Whiteny and independent sample chi square tests. The mean infundibulum-pelvic angle (IPA) in control subjects and in patients was 112.5 ± 10.7 and 96.6 ± 28.8, respectively. There was significant correlation between reduced angle and stone formation (P= < 0.001). The mean infundibulum­uretero-pelvic angle (IUPA) in control subjects and study cases was 53.5 ± 12.7 and 42.6 ± 13.4, respectively. There was significant correlation between decreased angle and stone formation (P= < 0.001). The mean length of infundibulum of lower pole of kidney (IPIL) in controls and study patients was 22.5 ± 4.1 and 27.5 ± 7.7, respectively, which was statistically significant (P< 0.001). The mean number of calyces in lower pole of the kidney (LPCN) in controls and study patients was 2.6 ± 0.6 and 3 ± 0.9, respectively, which was statistically significant (P= < 0.002). There was no significant correlation between distribution of calyces and stone formation (P= 0.366). Our study suggests that abnormal renal anatomy was more common in patients with lower pole kidney stone and should be considered a risk factor for forming lower pole kidney stone. We performed this prospective study to determine the urinary calcium to creatinine ratio (Ca/Cr) in children with different urinary symptoms. We studied 523 children in our neph­rology clinic with an age range of 3 to 14 years (mean= 8) and male to female ratio of 0.61. All the children had at least one of the urinary tract symptoms (dysuria, frequency, urgency, abdo­minal and/or flank pain, diurnal incontinence or enuresis), microscopic hematuria, urinary tract infection or urolithiasis. Fasting urine was collected for measuring calcium and creatinine and the results were compared to the values for the normal Iranian children. Ca/Cr ratio of more than 0.2 (mg/mg) was considered as hypercalciuria. Of all the patients, 166 (31.3%) were hypercalciuric. Urine Ca/Cr ratio was significantly higher in all the subgroups with one or more of the urinary symptoms (P< 0.001). We conclude that urine Ca/Cr ratio is significantly increased in children with all types of urinary symptoms. We recommend measuring urinary calcium in all children with urinary tract symptoms, especially if unexplained. Although there are numerous studies on diabetes mellitus in Saudi Arabia, data on the extent to which American Diabetic Association (ADA) standards of diabetic care are met, is scarce. We studied the computerized records of adult diabetic patients followed-up in outpatient internal medicine clinics at our tertiary care center in Riyadh, Saudi Arabia to find out how many of them met the ADA standards of diabetic care regarding fasting blood glucose, HbA1c, LDL-C, hypertension, proteinuria screening and use of anti-platelet, lipid lowering or recommended anti­hypertensive medications. 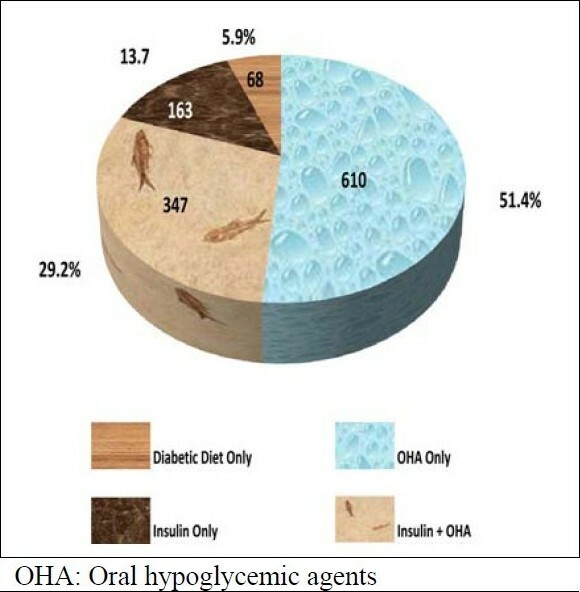 Out of 1,188 type-2 diabetic patients studied, blood pressure readings were available in 1180 (99%) while results of fasting blood glucose, HbA1c, LDL-C and albumi­nuria screening were available for 1123 (95%), 968 (81%), 1037 (87%) and 307 patients, (26%) respectively. Patients achieving the ADA targets for overall, systolic and diastolic blood pressure, fasting blood glucose, HbA1c, LDL-C and albuminuria screening were 39.0%, 40.6%, 74.6%, 25.0%, 21.8%, 55.5% and 34.9%, respectively. For prevention of cardiovascular events, 61.0%, were using angiotensin converting enzyme inhibitors (ACE-I) or angiotensin-2 receptor blockers (ARBs) or both, while 71.5% and 72.3% of our patients were on anti-platelet and statin medica­tions, respectively. In conclusion, as reported in most other studies, we also found that ADA stan­dards of diabetic care are not met in most of our diabetic patients, indicating that these standards are easy to preach than to practice. There is need for further research to investigate the reasons for this failure and to adopt better multi-disciplinary approach and realistic targets in the future. Glomerular Filtration Rate (GFR) is considered the best overall index of renal function currently used. Measurement of 24 hours urine/plasma creatinine ratio (UV/P) is usually used for estimation of GFR. However little is known about its accuracy in different stages of Chronic Kidney Disease (CKD) aim: is to evaluate performance of UV/P in classification of CKD by comparing it with isotopic GFR (iGFR). 136 patients with CKD were enrolled in this study 80 (59%) were males, 48 (35%) were diabetics. Mean age 46 ± 13. Creatinine Clearance (Cr.Cl) estimated by UV/P and Cockroft-Gault (CG) was done for all patients, iGFR was the reference value. Accuracy of UV/P was 10%, 31%, 49% within ± 10%, ± 30%, ± 50% error respectively, r 2 = 0.44. CG gave a better performance even when we restrict our analysis to diabetics only, the accuracy of CG was 19%, 47%, 72% in ± 10%, ± 30% and ± 50% errors respectively, r 2 = 0.63. Both equations gave poor classification of CKD. In conclusion, UV/P has poor accuracy in estimation of GFR, The accuracy worsened as kidney disease becomes more severe. We conclude 24 hours CrCl. is not good substitute for measurement of GFR in patients with CKD. Cytotoxin-associated gene A (CagA) positive strains of H. pylori have a significant correlation with gastritis and peptic ulcer, and may induce persistent systemic inflammatory response, increase vascular damage, and compromise glycemic control in diabetic patients. To evaluate correlation between infection by cagA positive strains of H. pylori and occurrence of microalbuminuria and glycemic control in type 2 diabetic patients, we prospectively studied 98 dyspeptic type 2 diabetic patients as a study group and 102 dyspeptic non-diabetic subjects as a control group. Gastric biopsy specimens obtained with endoscopy were cultured to isolate H. pylori. All the isolated H. pylori strains from cultures were used for detection of cagA gene by polymerase chain reaction. There was no significant difference between study and control groups regarding infection with cagA positive strains of H. pylori ( P= 0.145). Furthermore, there was no significant differences between both groups concerning the incidence of microalbuminuria ( P= 0.145). On the other hand, there was an extremely statistically significant difference in the inci­dence of microalbuminuria and glycemic control in the diabetic patients between those infected with cagA positive strains of H. pylori and cag A negative starins (P= 0.000). We conclude that infection with cagA positive strains of H. pylori are strongly associated with the increased inci­dence of microalbuminuria and poor glycemic control in type 2 diabetic patients. The objective of the study was to determine the level of β2-microglobulin (β2-m) in hemodialysis (HD) patients and the factors affecting it. 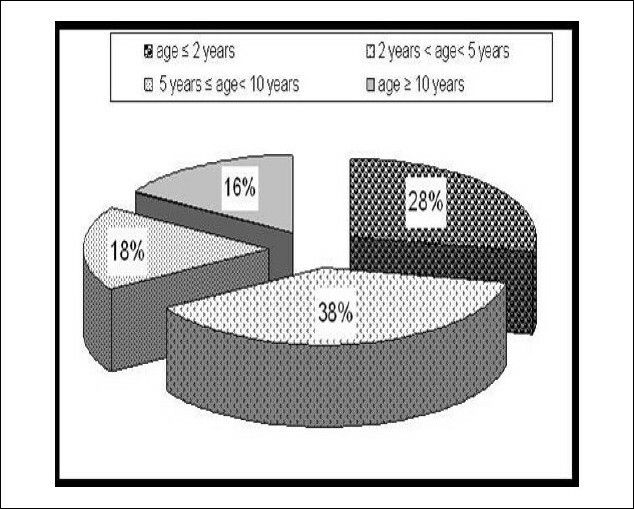 This cross sectional, hospital based study was conducted between September and December 2008 at the Hemodialysis unit of Shalamar Hospital, Lahore. All patients with end-stage renal disease (ESRD) who were on main­tenance HD for more than three months were included in the study. Patients with acute renal failure and on dialysis for less than three months were excluded. Demographic data were collec­ted and details of dialysis (type of dialyzers, dialysate bath, membrane used) were recorded. Blood samples of the patients were drawn for hematological (hemoglobin, hematocrit), bioche­mical (urea, creatinine, uric acid, albumin) and β2-m level measurement. The total number of patients studied was 50. The major causes of ESRD included diabetes mellitus and hypertension seen in 37 (74%) and 10 patients (20%), respectively. The β2-m levels were significantly elevated in the study patients; 92.6 ± 17.1 mg/L with a range of 54 to 130 mg/L as compared to 2.0 ± 1.29 mg/L in the control group. The patients' age had a statistically significant relationship with the β2-m level. The major reason for increased β2-m level was use of low-flux dialyzers. Synthetic polysulphone membrane, bicarbonate, ultra pure dialysate and duration on HD were not asso­ciated with high β2-m levels. Also, we found an inverse relationship between β2-m levels and serum albumin of the study patients. Our study suggests that the β2-m levels are significantly high in dialysis patients. Use of low-flux dialyzer seems to be the major reason for the high β2-m levels. Age and albumin have statistically significant relationship with β2-m levels. To evaluate the effect of albumin serum levels and C-reactive protein (CRP) on the course of dialysis induced hypotension (DIH) in chronic hemodialysis (HD) patients, we studied 58 chronic hemodialysis patients in our center during 2007. We investigated the correlation bet­ween serum albumin, highly sensitive CRP (hs-CRP) and DIH. The mean of the serum albumin levels was 4.2 ± 0.5 g/dL, and 32.8% of the patients revealed hypoalbuminemia. Occurrence of DIH among HD patients was 27.6%. The mean of serum albumin levels in the DIH group was significantly lower compared with the normotensive group (3.9 ± 0.4 vs 4.3 ± 0.5g/dL, respec­tively, P= 0.008). The mean of the hs-CRP levels was significantly higher in the DIH group compared with the normotensive group (12.9 ± 12 vs. 7.2 ± 5.2 mg/dL, respectively, P= 0.01). We conclude that high level of CRP and hypoalbuminemia may be predictors of DIH. Rupture of the spleen is a life threatening condition. We report a 40-year-old fe­male patient, a known case of lupus nephritis receiving hemodialysis, who developed spontaneous rupture of the spleen during the course of her illness. The patient was managed conservatively with gradual regression of hematoma without further complications. Dialysis patients are at increased risk of contracting influenza A H1N1 and deve­loping serious illness. Increasing the awareness of dialysis patients and continuous education and training of medical staff on early recognition and management of influenza A H1N1 can help in saving the life of patients. Antiviral drugs and influenza vaccines are effective in providing ade­quate immunity in dialysis patients with strict implementation of infection control policies and procedures can help in preventing and controlling the dissemination of influenza A H1N1 in dia­lysis units. 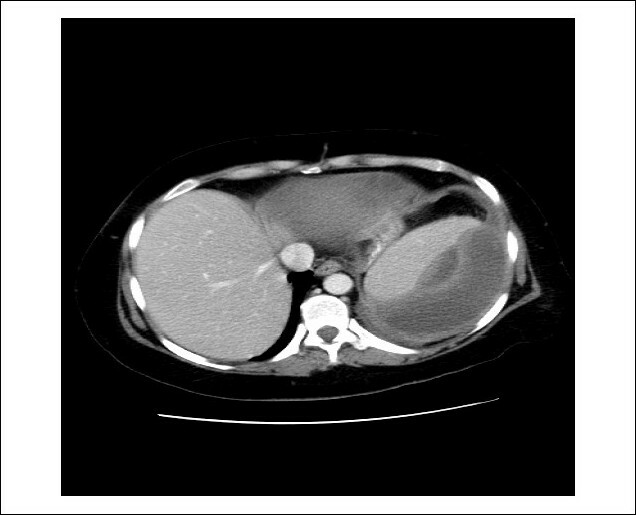 We report a case of a patient who presented with HINI influenza and developed acute kidney injury during his hospitalization and his course with disease. Xanthogranulomatous pyelonephritis and secondary systemic amyloidosis are re­latively common pathologies with innumerable cases being reported now and then. However the association of these entities is an extremely uncommon occurrence with only ten cases described in the literature. Clinical remission of amyloidosis develops in a majority of these patients after re­moval of the renal lesion. We present a case of this rare association in a young female who under­went nephrectomy for a non-functioning kidney. 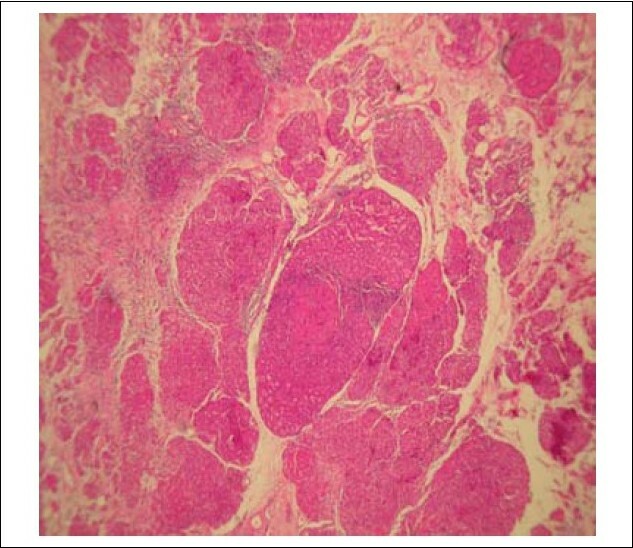 A histopathological diagnosis of xanthogranu­lomatous pyelonephritis was made. In addition there were deposits of amyloid in the glomeruli and the interstitial blood vessels. Renal lymphangiectasia is a rare disorder characterized by dilatation of peripelvic, renal and perirenal lymphatic ducts. The exact etiology is not known. Congenital forms and ac­quired forms have been described. The latter has been attributed to obstruction of draining retro­peritoneal lymphatic ducts caused by either infection, inflammation or any other cause. We des­cribe the rare association of renal lymphangiectasia with chronic myeloid leukemia, which is probably not yet reported in the medical literature. 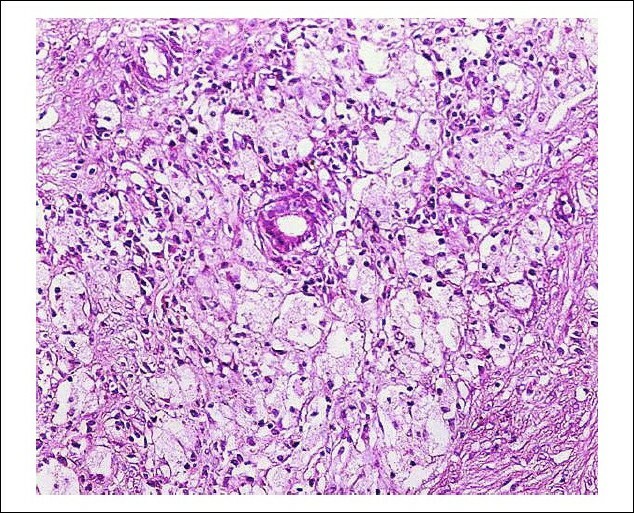 This report describes a case of large multiple and multilocular epidermoid cysts affecting the left kidney of a 67 old male. The condition was accidentally discovered during the ultrasonography for left loin pain and revealed enlarged left kidney with picture suggestive of hydronephrosis. Grossly, the kidney was distorted cysts that were filled with a cheesy material. The histologic picture of an end stage kidney disease was apparent in the compressed renal parenchyma by these cysts that were identical to an epidermoid cyst elsewhere. In conclusion, although rare, epidermoid cyst of the kidney could cause serious kidney damage leading to an end stage kidney disease. 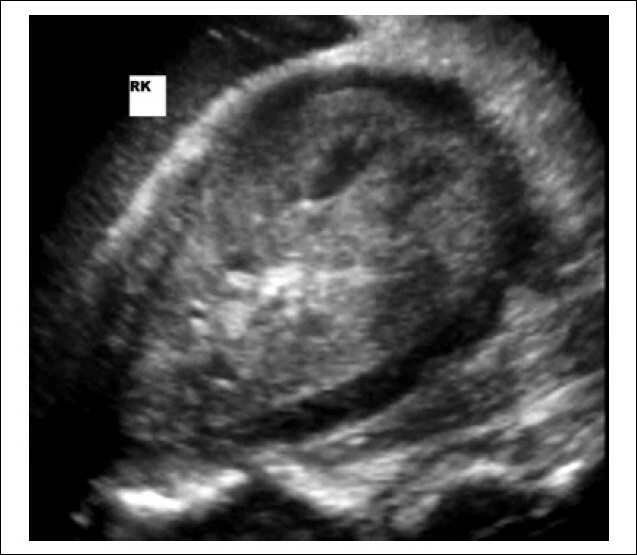 Epidermoid cyst of the kidney could be multiple producing a picture similar to hydronephrosis andbroadening the differential diagnosis of multicystic disease of the kidney. Typhoid is associated with a number of complications and is commonly seen in India. Rhabdomyolysis is rarely reported. We report herewith a patient with Salmonella typhi sepsis who presented with rhabdomyolysis and acute renal failure. Senior-Loken syndrome is a rare entity that combines familial juvenile nephro­nophthisis with retinal dystrophy. Herein, we report Senior-Loken syndrome in six members of an Iranian family with progressive blindness and renal failure since childhood. Although, this syn­drome was reported from other parts of the world, report of six members of one family with this syndrome is rare. To the best of our knowledge, this is the first report from Iran. The nephrotic syndrome (NS) is a well documented complication of hematological malignancies. However, chronic myeloid leukemia (CML) is rarely complicated by the NS, and it occurs usually after allogenic stem cell transplantation or interferon alpha therapy for CML. The NS as a complication of untreated CML is also rare. We report a 31-year-old patient who pre­sented with features of The NS. He was diagnosed to have CML one year ago and was on irre­gular treatment with imatinib mesylate. 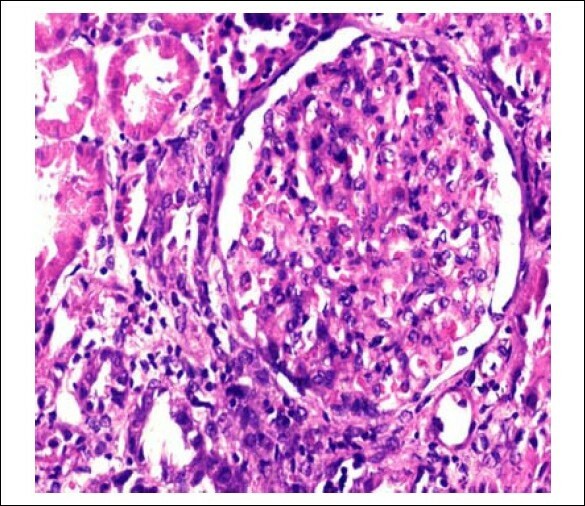 The renal biopsy and immunofluorescence revealed mem­branoproliferative glomerulonephritis type I. The patient was retreated with imatinib mesylate and the NS resolved gradually over three months. This maybe the third case in literature of mem­branoproliferative glomerulonephritis associated with CML. We report in this retrospective study the experience of our hemodialysis (HD) center in the incidence of intradialytic hypotension (IDH) over 18 months. We first studied the de­mographic, clinical, biological and morphological data of our 52 HD patients and compared the characteristics of patients with frequent IDH and those without. We found that factors signi­ficantly associated with IDH include diabetes, left ventricular hypertrophy, impaired diastolic function, weight gain and high ultrafiltration rates. Despite these results, further larger studies are required to confirm them. The incidence of Pediatric urolithiasis has been constantly decreasing during the past twenty-four years (1982-2007) in Tunisia as well as in other Mediterranean countries. This study was undertaken to observe the incidence of stone disease and its composition in children. Our study shows a downward trend of incidence of urolithiasis in pediatric patients over the last 25 years. The prevalence of calcium oxalate stones has constantly increased with decrease in the stones related to infections Whewellite (calcium oxalate) was more frequent in children of school age. In conclusion, the decrease in struvite frequency in children patients during the past twenty­five years and the stabilization of calcium phosphate stones are the result of a significant im­provement of diagnostics and the treatment of urinary tract infections in the young children in our country. Brown tumors are unusual but serious complications of renal osteodystrophy. We retrospectively studied 12 patients presenting with chronic renal failure and brown tumor related to secondary hyperparathyroidism. Eleven patients were on chronic hemodialysis. The median duration between renal failure and end stage renal failure was 36 months (range: 12-190 months) and the median duration in dialysis for 11 cases: 92 months (range: 72-252 months). The bone pain was noted in all cases (100%), pathological fracture in one case (8%) and a palpable bone tumor in 10 cases (83%). Elevated serum Calcium (> 2.35 mmol/L) was noted in four cases (33%), elevated serum Phosphate (> 1.78 mmol/L) in ten cases (80%), elevated serum Alkaline Phosphate (> 290 UI/L) in all cases and intact PTH was > 300 pg/mL in all cases with a serum median rate at 1475 pg/mL (range: 682-3687 pg/L). Subtotal parathyroidectomy was performed in all cases with a resultant decrease in size of brown tumors. We report here patient with CKD with unusual frequency and variable locations. This may be attributed tothe lack of the new calcium free phosphate binders and calcimimetics. Glomerular diseases are a common cause of chronic kidney disease (CKD) in many countries. The pattern of glomerular diseases has been reported in adult Sudanese patients but there has been no previous study on Sudanese children. The aim of this study is to describe the pattern of glomerular diseases in Sudanese children from a clinico-pathological perspective. We retrospectively reviewed the clinical records of 321 children seen with nephritis/nephrosis at the Pediatric Nephrology Unit, Soba University Hospital and Dr. Salma Dialysis and Kidney Transplantation Centre, Khartoum, Sudan during the period from 2002 to 2007. Biopsies were studied with light microscopy and immuno­histochemistry with electron microscopy performed abroad in selected patients (predominantly Alport's). The mean age of the 321 study children was 8.71 years (range 2 months-16 yrs) of whom, 188 were males (60.2%). The most common presentation was with the nephrotic syndrome, seen in 202 patients (62.9%). The most common glomerular disease encountered was minimal change disease, seen in 96 children (29.9%), followed by post-infectious GN in 78 (24.3%) and focal and segmental glome­rulosclerosis, seen in 44 patients (13.7%). Membranoproliferative GN (MPGN) was seen in 43 patients (13.4%) while mesangioproliferative GN was seen in 24 (7.5%). Systemic lupus erythematosus (SLE) was the most common secondary glomerular disease accounting for 16 patients (4.9%). HBsAg was positive in 10 patients and the most common associated lesion was MPGN (60%). Histopathology enabled us to change the therapy in 55.3% of the patients. Our study suggests that the pattern of GN in our cohort of patients is comparable with reports from other parts of the world with a high prevalence of post-infectious GN. Renal biopsies have an important part in planning therapy and management. Also, the importance of establishing a Sudanese renal registry including pediatric patients is stressed.